AEM 22-501P - AEM Short Ram Intake System - FREE SHIPPING! 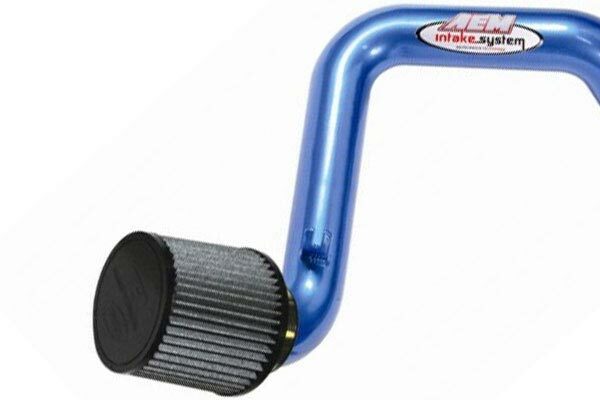 I discovered my stock intake box had 3 busted fasteners, so not willing to risk sucking dust into my motor, started shopping for after market intakes. After reading many reviews on different styles and manufacturers, i settled on the AEM short ram, for price, function, and ease of installation.What a difference. Not huge, but definitely better. And it does sound tuff starting around 3000 RPMs. 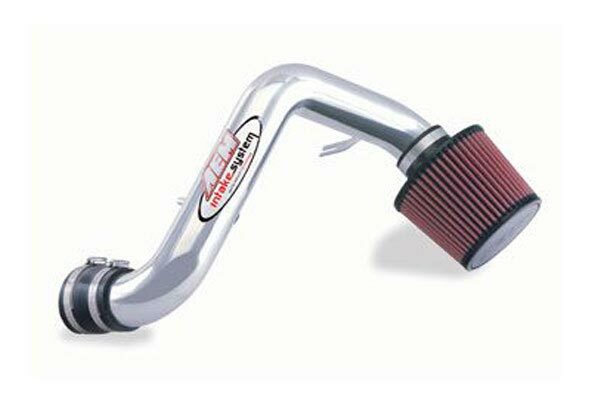 Now that I have it, I would recommend putting one in even if there's nothing wrong with your intake. I've also showed it to some of my women friends and was shocked to here them saying, WOW , thats pretty cool! So overall very happy with the AEM Short ram. I found this a fairly easy to install kit for a novice. Took me about 1 hour to complete. The kit was not what I would call a precise fit in a couple areas. The air breather hose was very snug connecting to the engine because the supplied hose was of the same diameter on both ends when it needed to step up to a larger size for placement on the engine. It's a minor issue, but the OEM hose does this so I don't understand why they would not supply the correct hose. 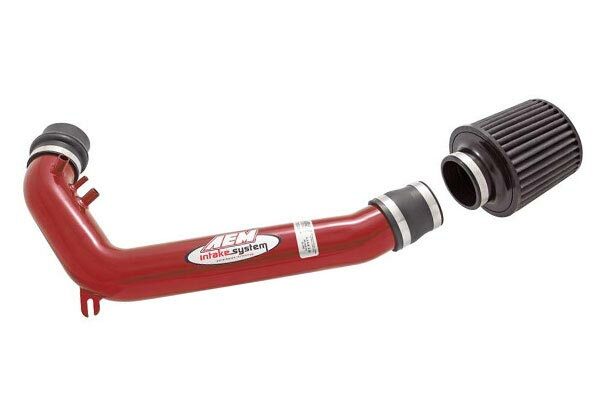 Substiting the OEM hose wasn't an option as it wouldn't be able to reach the AEM intake pipe. It took considerable effort to get it far enough on for it to seat correctly. Also the mounting bracket is about 1/2 inch shorter than it needs to be for a good placement on the engine mounting hole. Despite those issues I found the install fairly simple and with a little effort all parts installed properly and securely. The engine now sounds a throatier at higher RPMs as the OEM parts were dampening much of the engine noise coming from the air intake. I have noticed improved acceleration, however, I haven't yet determined if I have had any fuel mileage increase as I only recently installed this item. 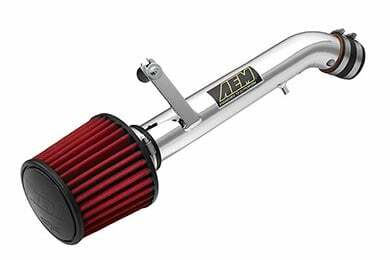 The AEM short ram intake was a very easy install. The bracket that bolts on to the transmission didn't match up the greatest but a little jimmy-rigging did the trick. I can feel the slight difference in horsepower and it makes the engine sound great. Better gas mileage too! I would recommend this product to anyone. I installed this in about 90 minutes (including replacing the plugs). Instructions were right on. I had to shorten one hose about 1 inch to fit properly. Deep throaty sound when you accelerate hard, but nice and quite when you are just cruising. Big improvment during acceleration especially below 65 mph. Much faster off the line. About .5 mpg increase noted on first tank (87 octane), 4 stars only because I was hoping for better mpg around town. I highly recommend it. not bad no real power gain just the engine breathes better and sounds stronger. Reference # 765-163-831 © 2000-2019 AutoAnything, Inc.